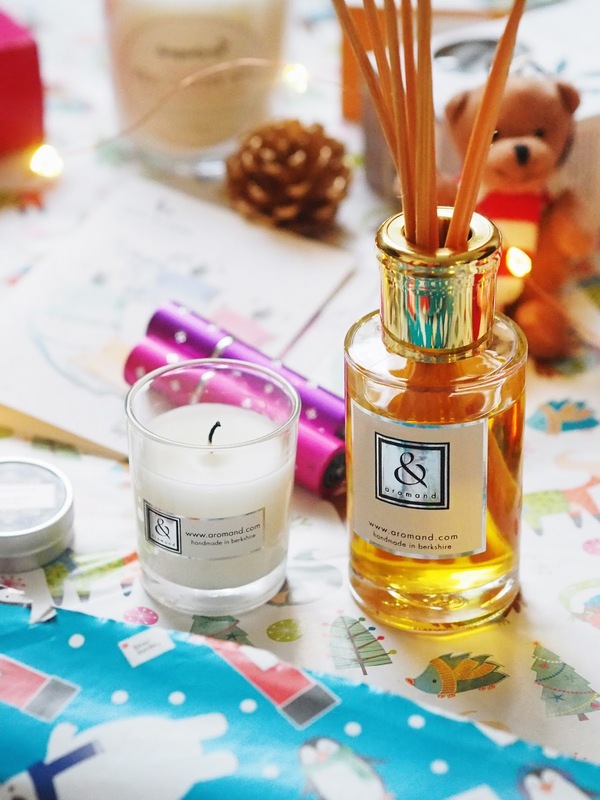 Christmas is the time of the year when scent really comes into play, especially around the home, and plays a big part in bringing back those festive memories. I have three home fragrance ideas, and four perfumes, covering all bases when it comes to the fragrance lover in your life. 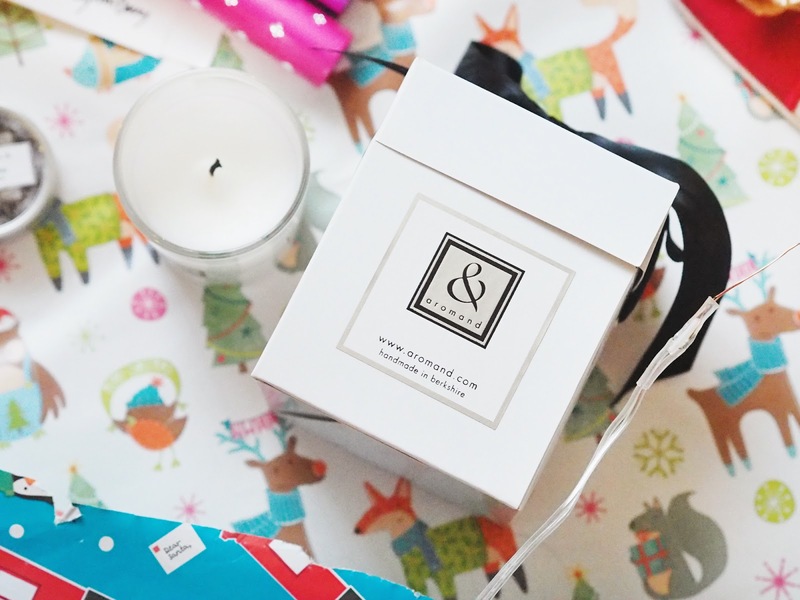 I've also teamed up with luxury candle brand, M&J London, who are kindly giving my readers the chance to win one of their beautiful winter scented candles. 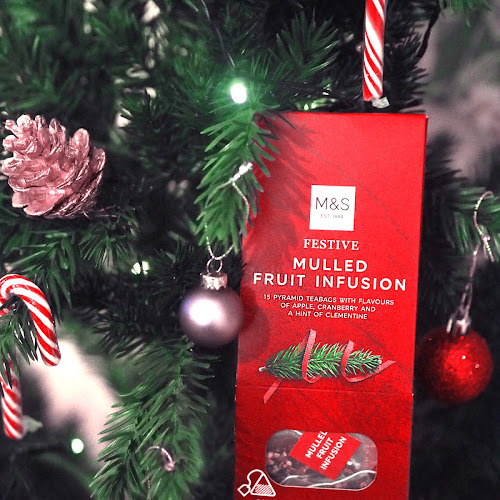 If you want to win the perfect festive scent, keep reading until the end for details on how to enter! 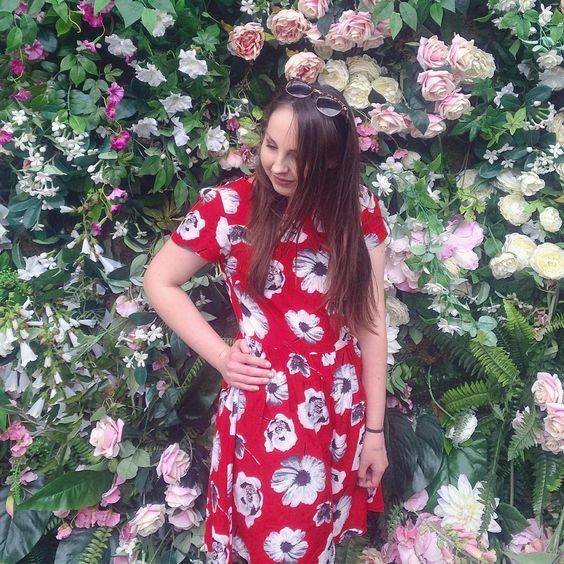 M&J London is an independent brand that doesn't scrimp on the quality, everything about this brand screams luxury, and they're ethical too, with a portion of the profits going to nia, a charity that acts against violence to women and children. I first tried this brand in the summer, when I reviewed their stunning English Summer candle, which you can read about here. Bavarian Winter* (£35) is one of the most gorgeously sophisticated festive scents that I have smelled. With its notes of cinnamon, blackcurrant, cloves and vanilla, it has nuances of tea. It's not overpowering, as many cinnamon-based candles seem to be, and is very comforting and nostalgic. Each of their candles are based on a different country, this one being Germany and their famous Christmas markets. How magical does that sound? The large candle burns for approximately 60 hours, and costs £35 with £1 going to charity. There are also smaller candles available for £23, as well as a Glass Cloche* (£15) which is the perfect way to display and protect your candle. M&J London uses soy wax, which gives the candle an impeccably clean burn, as well as a pure scent throw which fills the room. 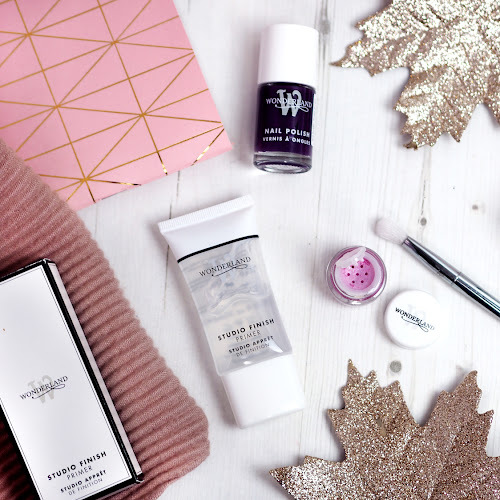 I've been really impressed with both candles that I have tried from M&J London, and would wholehearted recommend them if you are looking for an independent, yet still luxurious candle brand. If you want to win one of these for yourself, don't forget to check out the giveaway at the end of the post! Scenting your home with the delicious scent of festive spice is basically a must when it comes to Christmas. I've been particularly impressed by independent, handmade brand Aromand this year, and their Citrus Cinnamon Spice Reed Diffuser* (£25) is one of the nicest scents of its kind that I have smelled, with the scent of freshly sliced orange, and fresh cinnamon sticks. It smells so true to life and natural, and it has a good scent throw (unlike this diffuser I tried recently). I've also been enjoying the Apple & Ginger Pudding small candle* (£12), which has more of a subtle spice, paired with warm, sweet apple. 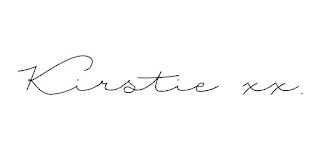 The quality of these products is excellent, and they are beautifully packaged, perfect for Christmas gifting. 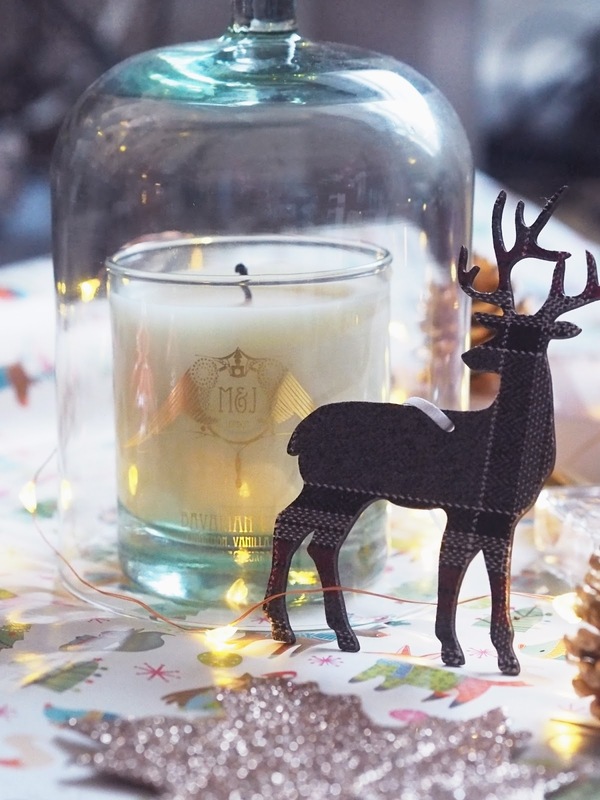 Grab one for yourself to scent your home before Christmas too! 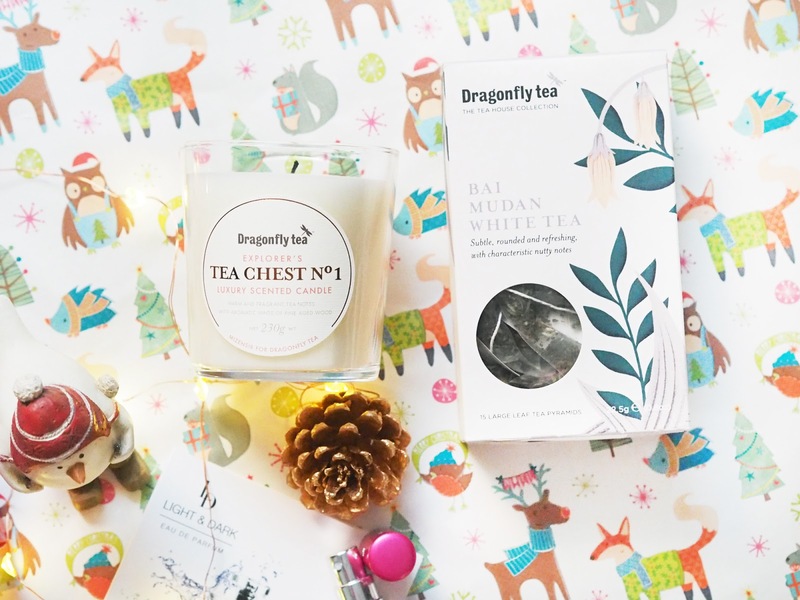 My next candle is something that isn't necessarily festively scented, but the Dragonfly Tea signature candle, the Explorer's Tea Chest* is something that I think is perfect for gifting. It is available in a set with two boxes of tea of your choice from their Tea House collection for £40, so you can create a bespoke gift for your loved one. 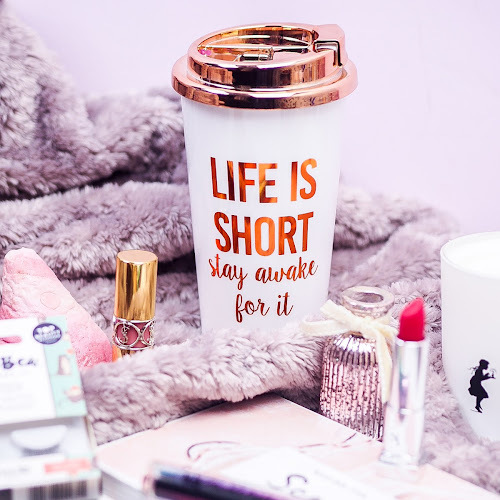 Definitely one to grab if you know someone that is obsessed with both tea and candles (I am the perfect example!). The Explorer's Tea Chest scent is inspired by the warm fragrance that tea gives off, and is combined with notes of fine aged wood. The scent is cosy and timeless, perfectly unisex and is perfect for the autumn and winter months. It reminds me a lot of something one would burn in a library, with the scent of aged oak bookshelves. It certainly evokes self-indulgence and relaxation, and brings a new way to enjoy your favourite drink. Pair with one of the Tea House blends for the ultimate me-time moment. I have the Bai Mudan White Tea, and the Lemongrass and Ginger Infusion, and both are delicious, perfect for that "press pause" moment. Moving onto perfume, something a little different is a solid fragrance. Amygdala is a brand that was introduced to me by the lovely people at Little Known Box, and was so named after the part of the brain that is linked to memories and emotions. 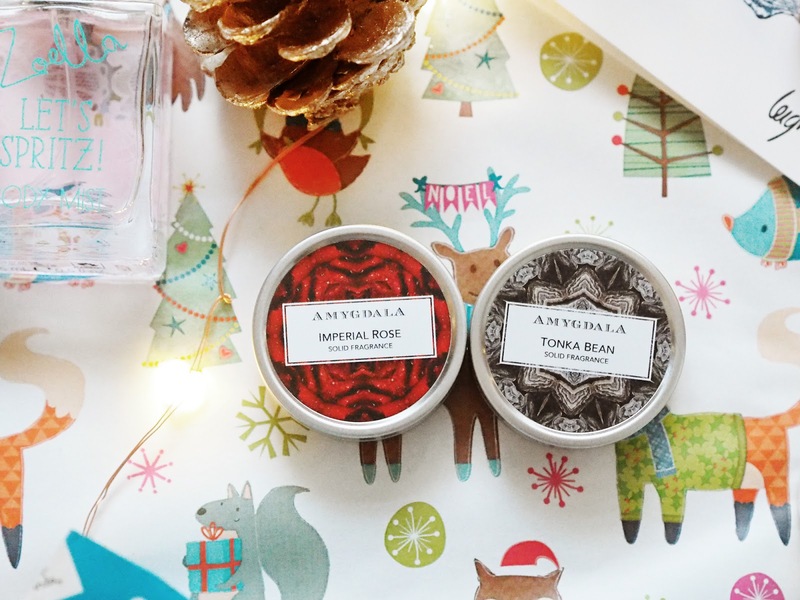 Amygdala specialise in fragrance layering with their selection of single-note solid perfumes. These would make great little stocking fillers, and are perfect if you know someone that would love layering up their signature scent! I've been trying out the Tonka Bean and Imperial Rose solid fragrances* (£10 each) and although I think I'll always prefer a traditional spritz, I can't fault these. The Tonka Bean solid perfume is sweet with its velvety vanilla scent, and the Imperial Rose is powdery, green and fresh, a lot more multi-dimensional than I expected! The Tonka Bean is my clear favourite out of the two, and I think I'll be using it as a base for some of my vanilla body mists. Amygdala have a wide range of scents, I'm already eyeing up one of my favourite notes, Leather! 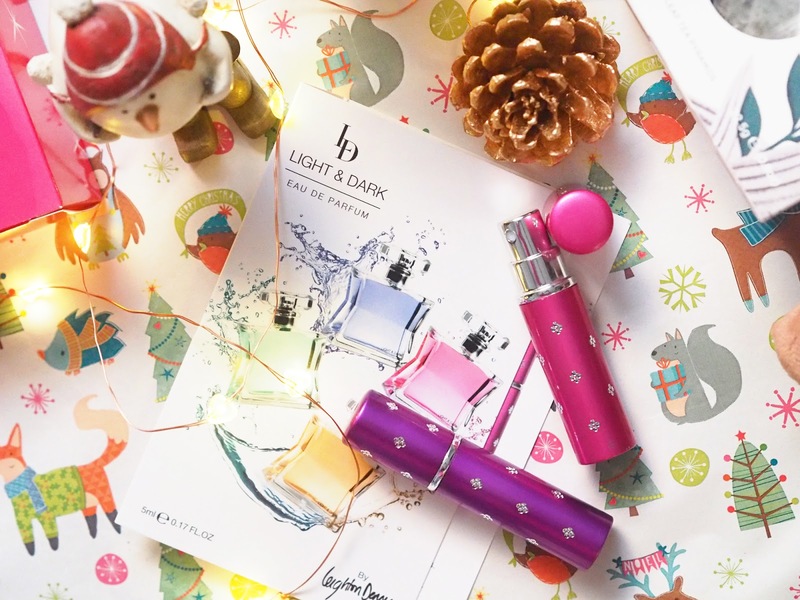 Something else with fragrance layering in mind is Leighton Denny's Light & Dark* fragrance range (read the full review). I've been trying out the scents recently, and I've been really impressed with the quality. I really wanted to share the fact that you can pick up a set of all four fragrances, each in 5ml atomisers for £28.50 which is great for those who are new to the brand. Who knows, they could find their new favourite scent! In the range is Original (a Chanel-esque oriental scent), Delightful (my personal favourite, a fruity red berry scent with a creamy coconut sorbet base), Desire (a unisex chypre fragrance) and Lively (a fresh and spicy unisex scent). Mix together or combine with your current favourite scent to create a new signature! 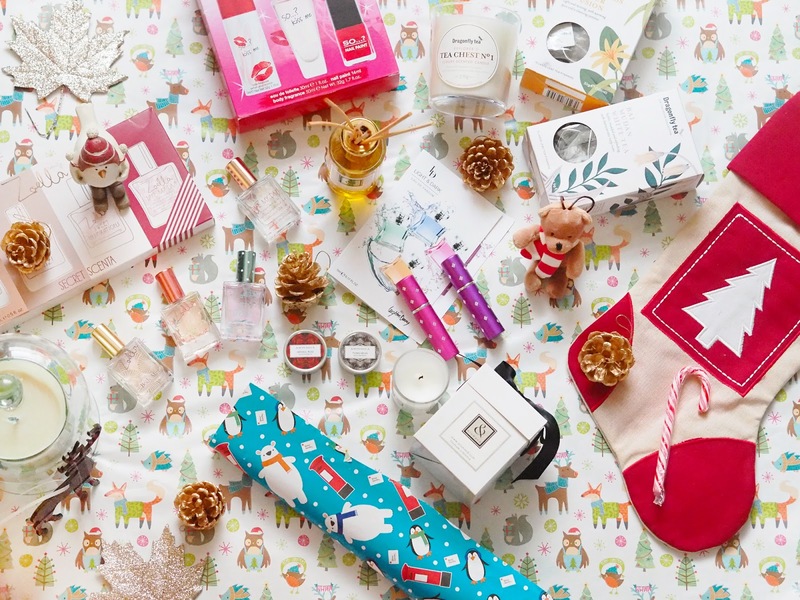 If you have a younger scent lover, specifically a YouTube-obsessed scent lover, chances are they would love to find the Zoella Beauty Secret Scenta (£15) set of miniature fragrances in their stocking. It comprises all four of Zoe's body mists, so is perfect if they are new to the Zoella Beauty brand. The set contains the original and signature Blissful Mistful (a Marc Jacob's Daisy-esque blend of violet and white woods), Let's Spritz! (a fun and fruity composition of raspberry and cassis, and one that I love - full review), Sweet Inspirations (a macaron-inspired musky/gourmand hybrid of honey, cocoa and sweet almond - full review) and my personal favourite Bake My Day (pure gingerbread goodness). Like the sound of a few of these? 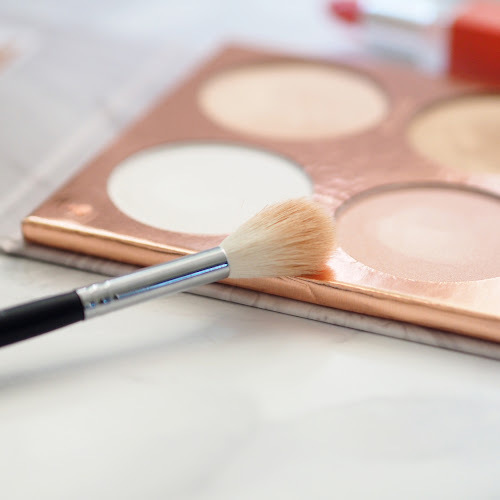 Split the set and keep some for yourself and give the others away as stocking fillers! Lastly, for a bit of nostalgia, or as the perfect gift for a teenager, look to none other than So...? Fragrances. They've undergone a bit of a makeover recently, so there's a choice of their classic scents or their fab new body mists (which I will be reviewing in a post very soon). My pick of their Christmas gifts is their So... Kiss Me Set*, which comes with a body spray, Eau de Toilette and a perfectly festive red nail polish. I couldn't find a link to this one online, but the one linked comes with a body lotion, which I bet is gorgeous! So... Kiss Me is such a crowd pleasing scent, with top notes of fresh blackcurrant, pineapple and citron, a heart of romantic florals and a base of kissably sweet vanilla, musk and woods. Whether it's to keep in your handbag for a midday refresh, or to pass amongst your friends in the school changing rooms, there's always a place in your stash for this bargain fragrance! As I mentioned before, the lovely people at M&J London have given me the chance to share the beautiful scent of Bavarian Winter with one reader. The winner will receive one large Bavarian Winter candle, which has a retail value of £35. There are a variety of entry methods, some mandatory and some extra, as outlined in the Rafflecopter widget below. This giveaway will be UK only, and it will remain open from 24th November 2016 for two weeks until 8th December 2016 at 23.59 GMT. The winner will be drawn at random using the Rafflecopter widget providing the entries have been completed correctly, and notified via email on the 9th December. The winner will be given 28 days to respond, to keep it fair and in line with current guidelines. In the event that the winner does not respond within this timeframe, a new winner will be chosen. I will pass on the winner's details to my contact at M&J, who will be responsible for sending out the prize. 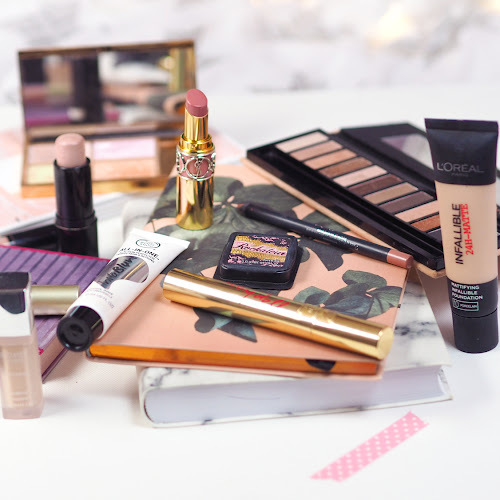 As always, I never discriminate against compers and they are more than welcome to enter any giveaway on this blog. The Gin Festival, Leicester | Chin Chin!